Are you the person who gets the gift with a story—clever and unexpected, yet exactly what the recipient needs? Keep this one in your pocket for the special birder in your life. 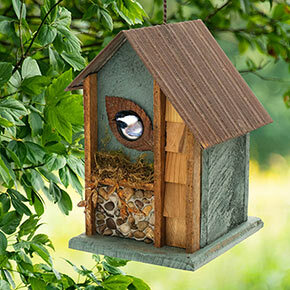 It is hand–crafted by skilled artisans, using recycled wood and metal from old barns—some up to 100 years old. 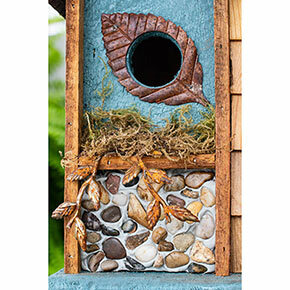 It features a charming stone front. 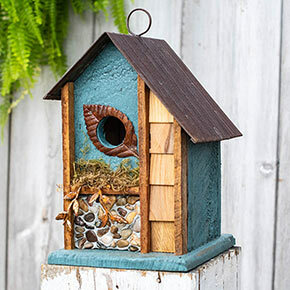 The birdhouse is functional, either hang it by the ring on top, or mount it to a post in the garden to let neighborhood birds enjoy it. However, it's so pretty and unique, we also like this one as an indoor accent. There is a plastic plug in the back that opens for easy cleaning. H11"xW7"xL8¼"